New York, NY (September 5th, 2017) — HG Contemporary, the breakthrough gallery founded by Philippe Hoerle-Guggenheim is known for unearthing distinct artists and producing shows that embrace groundbreaking aesthetics and concepts. 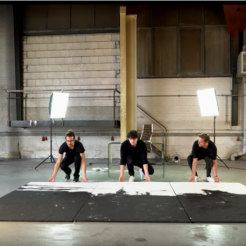 Today, HG Contemporary announced Tim Bengel’s first International Exhibition entitled, “Monuments.” A social media phenomenon, Tim shared a trailer for his upcoming exhibition on social media in early April 2017, which has received over a combined 250 million views. During an exclusive opening on Thursday September 7th, Tim will reveal a never before scene piece from horizontal to vertical - a process he has made famous through his online videos. Inspired from a young age on trips to the Staatsgalerie Stuttgart near his home of Ostfildern, Germany, Tim started imitating drawings of artists like Cy Twombly and Kandinsky. He was confused what simple dashes of color could mean and started realizing the importance of defining his own style. 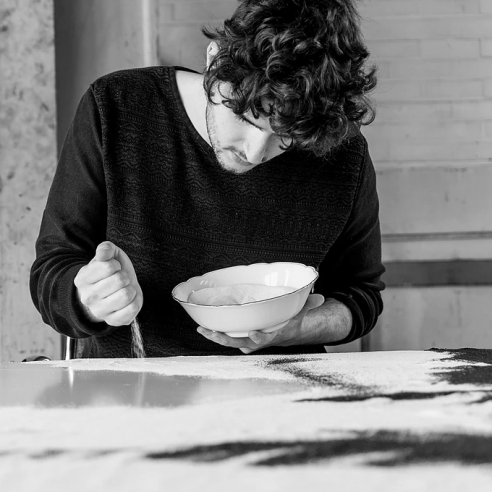 Earning his first art award at 18 for a collage made of coins depicting his perception of the European financial crisis, Tim then became determined to define a technique with “great recognition value.” He developed his method of using sand, gold and glue between 2014 and 2015 and still challenges himself to push to incorporate new and different art methods and experimental mediums. 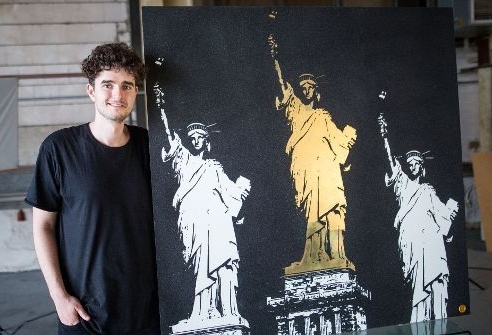 With over a quarter million social media followers, Tim now chooses his themes carefully, wanting each “to be a challenge,” and “not to be subordinated to anyone or any ideology.” In Tim Bengel’s Monuments exhibition, his intent is to bring life into something that is lifeless and to display it in a thrilling way.